This is a set of interesting drink coasters themed by the famous British sci-fi TV series Doctor Who. The coaster set contains four same coasters, and as we can see from the images, each coaster is shaped as TARDIS, the iconic space and time machine from the universe of Doctor Who, and comes with high details and accurate colors from its original design. 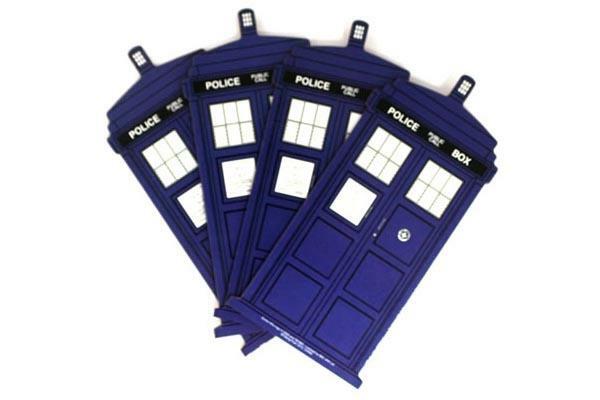 Moreover, each TARDIS coaster measures 3-1/2 x 7 inches, and is made from wood, apart from that, its cork-lined bottom protects the surface of your table. 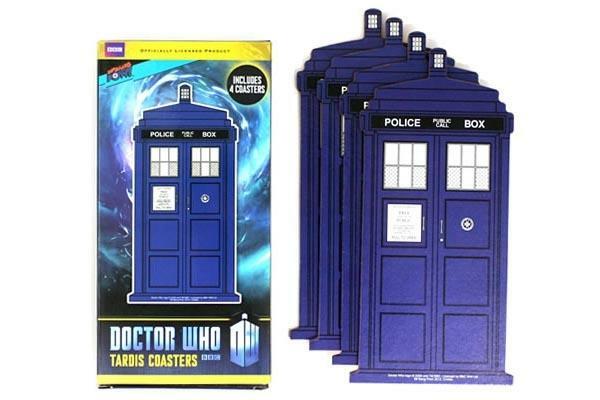 The officially licensed Doctor Who TARDIS coaster set is priced at $14.95 USD. If you’re interested, jump to neatoshop online store for more details. Additionally, if you need other options, you might like to check the Adventure Time coaster set and more via “coaster set” tag.